Is there any valid information out there concerning whether or not the large lower glacis of the un uparmored challenger 1 and 2 offers any protection anything beyond autocannon fire ? Does the lower glacis have any composites at all in it ? not really, although a thicker lower glacis doesn't seem plausible, since the driver then would not have any legspace to speak of. 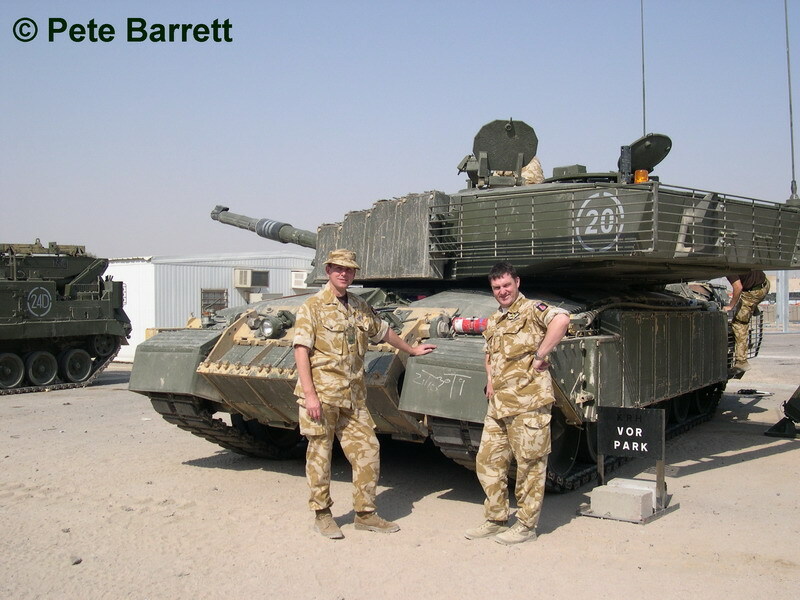 On Saturday 6 April 2003 in Basra, a seemingly abandoned T-55 fired a 100 mm round that struck the central ROMOR-A ERA panel protecting the nose of the FV4034 Challenger 2. After a spectacular explosion, there was no penetration of the tank. Yes but that does state it hit a ERA panel. What the original question asked was about the armour protection provided by the hull itself without any add-on armour. lower front hull was penetrated by an RPG-29, after Romor was bypassed by a tandem-charge warhead. so lower front hull is with 100% certainty <600mm vs HEAT. army guide also claims ROMOR-A can reduce the performance of a 127mm shaped charge with 95%. A rumour says that the rocket dropped short, exploding on the ground, sending shrapnel and blast up under the tank, penetrating the steel belly of the tank, the driver; Trooper Sean Chance, lost three of his toes in that attack. AFAIK Challenger 2 with latest addon armor kit have combat weight of 74 metric tons. 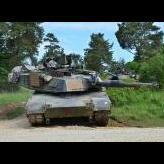 With the DL2E* armor configuration, the FV4034 Challenger 2 weighs 64,95 tons (metric). *Dorchester Level 2 E, nose-mounted ROMOR-A ERA and ROMOR-C ballistic side skirts. A round can skip off the ground and still function, i.e., the PG-29V landed short and bounced up and struck low. I reckon the ERA did work to some extent, cutting down the amount of penetration of the main charge, but still not enough to stop it getting through the 150mm or so of RHA of the lower hull. I'm surprised at how little damage was actually done after penetration, which probably jives with the ERA working. AT 22 0130D AUG 06, MND(SE) LAUNCHED OP WELLINGTON TO DETAIN SPECIFIC MILITIA LEADERS. BETWEEN 0130D AND 0142D 3 HOUSES WERE SEARCHED AND 6 SUSPECTS DETAINED. THROUGHOUT THE OP CF CAME UNDER RPG AND SAF ATTACK WITH 1 X WIA (ROUTINE) BEING SUSTAINED. 1 WIA/0 DAM. AT 0245D CF TROOPS BEGAN TO EXTRACT WITH HELICOPTER SUPPORT. BY 0345D ALLL TROOPS WERE EXTRACTED AND DEATINEES AT THE DETENTION FACILITY. DURING THE EXTRACTION RPG, SAF AND HMG ATTACKS TOOK PLACE DAMAGING 1 CF VEHICLE. DURING RECOVERY OF DAMAGED VEHICLE ANOTHER ROUTINE CASUALTY WAS SUSTAINED. RECOVERY TAKING PLACE UNDER SUSTAINED SAF, RPG AND MORTAR FIRE. FAST AIR SUPPORT TASKED. UPDATE: CR2 TANK RECOVERED TO CAN, 5 X DETAINED RELEASED AT 221200D AUG 06. CF CASUALTIES ARE: 1 X BROKEN HAND, 1 X LOSS OF TOES DUE TO RPG HEAT CASUALTY AND 1 X GSW. It appears that the wounded in the fighting compartment were due to the blast itself rather than penetration (the commander appeared to be unbuttoned). A number of M1 crew members suffered concussions and bumps/bruises from non-penetrating PG-29V hits. I guess when you get to 105mm and up, the explosive power is quite a bit more pronounced than your typical 70mm/85mm warhead. Do you have the whole After Action Review document ? You really need to choose your words better..
Nope, that's the only AAR that was released. They're a hit or miss, really. Some provide detailed information, whereas others are scarce (like this one). All you can get is that a HEAT round took off the toes of the driver. Proper BDA would have been done at a higher up level and later on, like with the official RPG-29 versus M1 BDAs. Somewhat related, it appears that the ATGM that hit the CR2 in 2003 had some form of behind armor effect, albeit quite limited (sparks and such, which could be spalling, which can happen even without penetration). When you say gross , do you mean horsepower measured at the sprocket or the old american SAE standard of engine power rating ? As far as i know gross horsepower ratings have never been used in europe, at least not in the last 40 years . The standard here is called DIN rating and is approximately the same as the later US Net rating. This means power/torque is measured at the crankshaft(flywheel) on an engine with all "equipment" attached ie: stock airfilter, exhaustpipes/mufflers, alternators, power steering and AC pumps etc etc...basically simulating how the engine performs when in the vehicle. This gives a lower, but more realistic rating, than the old gross horsepower method. I dont know about the perkins cv12 engine in the chally, but in the MTU 873 in the Leo 2 at least, the qouted rating of 1100 kw is very much a nominal figure and the actual horsepower may vary as much as 100kw or more from tank to tank. I based myself on this data sheet. Source : Hunnicutt, R.P, Abrams: A History of the American Main Battle Tank, Volume 2, Armored fighting vehicle books, Presidio Press (February 1991). Hmm...interesting....if this is accurate then the comparable ratings for the AGT/ MTU would be ~1250 vs ~1475 Net/DIN horsepower and ~5100 vs ~4700 Nm . Perhaps one of the resident M1 guru's can clear things up ? In the 60's when the AGT was buildt, the SAE gross rating was still the most common rating method in the US though, so perhaps a 1500 gross rating isnt totally far fetched.